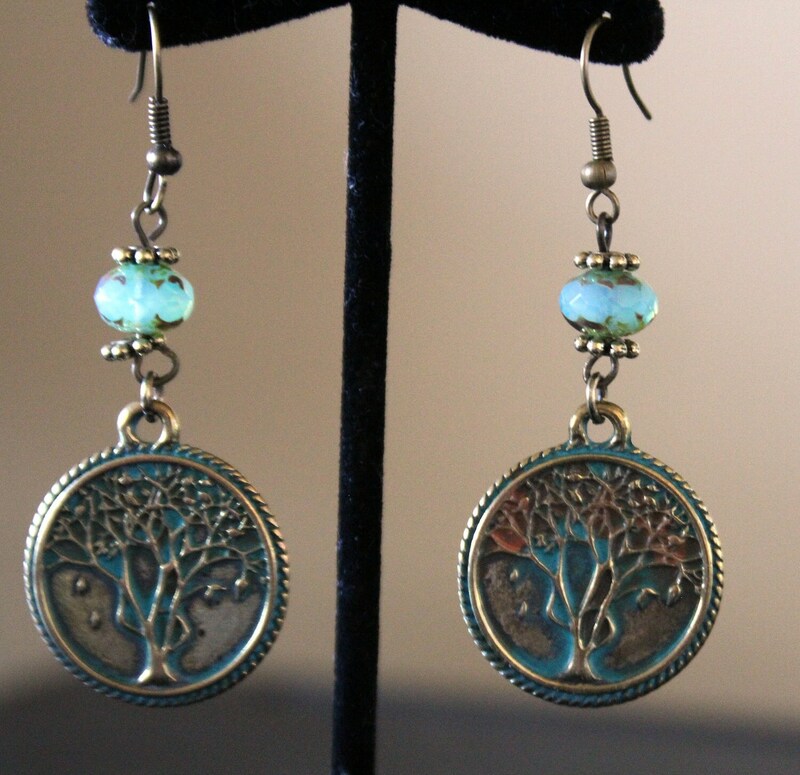 These classic looking earrings are made from a beautiful set of brass tree of life charms. The charms have turquoise and copper patina on them and rope braided edges. They dangle from an aqua Czech glass faceted rondelle that is framed with antique brass spacers and has a subtle glint to them. The ear wires are antique brass also and are hypoallergenic. The earrings are 2 1/4 inches long from the top of the hook to the bottom.